Photo courtesy of Ball Seed. 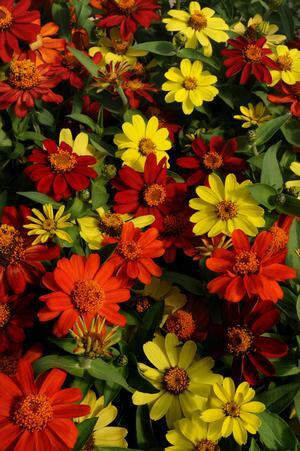 If you’re looking for a big flower in a bright, bold color, then Zahara Bonfire Mix zinnias (scarlet, fire and yellow) are a perfect choice! They make a big impact in landscapes and containers. They have a superior disease tolerance and last all season long. Zinnias are very user-friendly. They will tolerate almost any soil type, prefer well-drained soil and love the heat. You should pinch young stems back to encourage branching, and deadhead spent plants to prolong flowering. They grow in an upright habit and are bushy and compact. They are generally pest free. 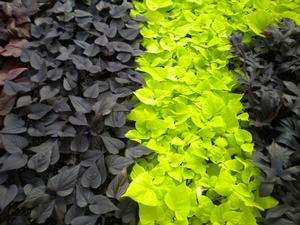 Try mass planting them in a large area—the beautiful bright colors will look gorgeous! Whether you’re a beginner gardener or have an experienced green thumb, zinnias are a great choice for your garden! 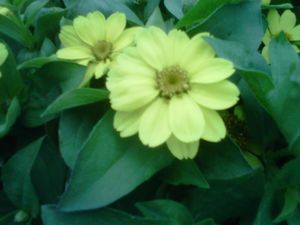 Zinnias are very user-friendly. 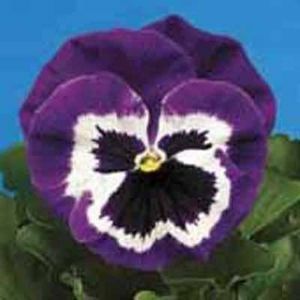 They will tolerate almost any soil type, prefer well-drained soil and love the heat. You should pinch young stems back to encourage branching, and deadhead spent plants to prolong flowering. They grow in an upright habit and are bushy and compact. They are generally pest free.